You know that the klimate has gone to klahblooey when HoM – the second coldest place on the planet – is humid and hot, sultry even. It was still worth a long stand over the lowish high tide today though, in the vain hope autumn may appear. 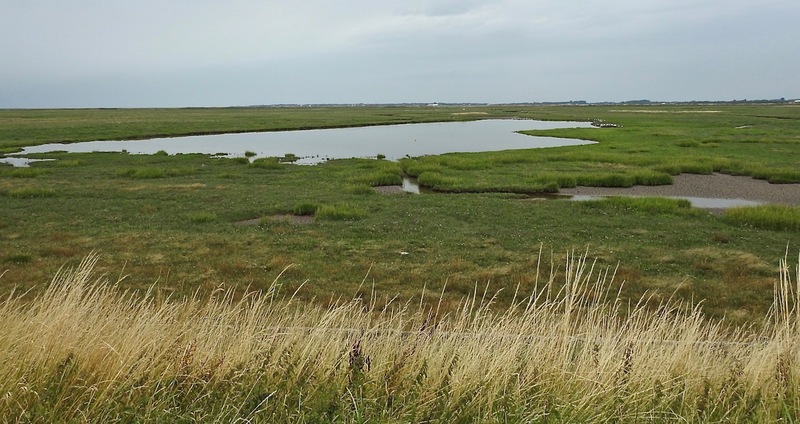 No such luck, but tantalising glimpses, with three Common Sands and a superbuffy young Ruff, Greenshank, and juve Yellow Wags strutting their stuff through the vegetation. Quite peaceful until a Typhoon roared up from Warton to rip the cloudbase into supersonically shredded tissue-paper. 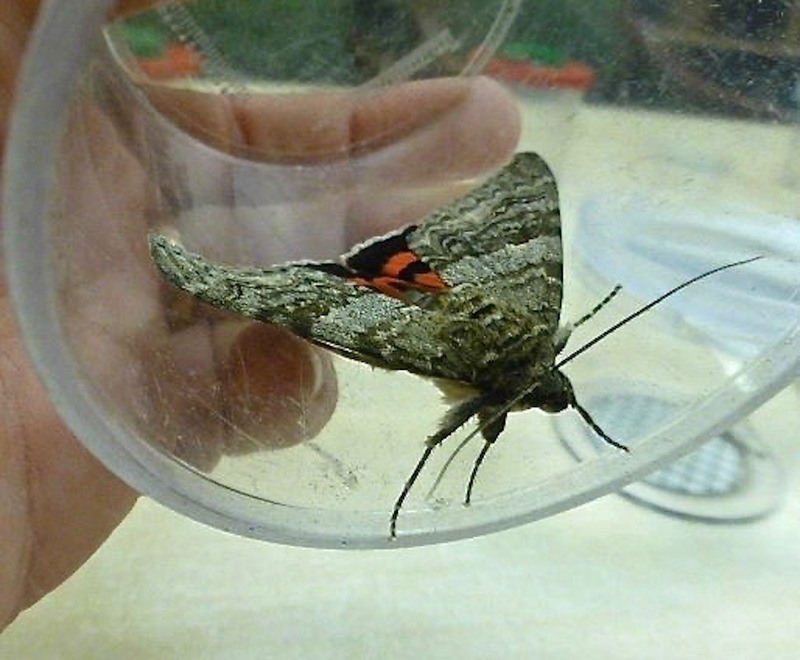 Back home, juve Greater ‘Peckers are sweeping into the feeders now, all red crowns and wishful thinking, although highlight of the week at Dempsey Towers had to be a superb Red Underwing coming to the moth-trap. 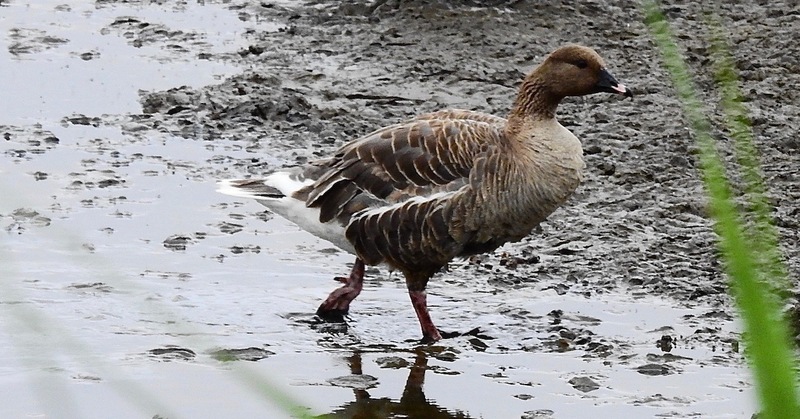 Snatching at an hour inbetween 101 million pieces of crud, I nipped into Sandgrounders Hide this morning. 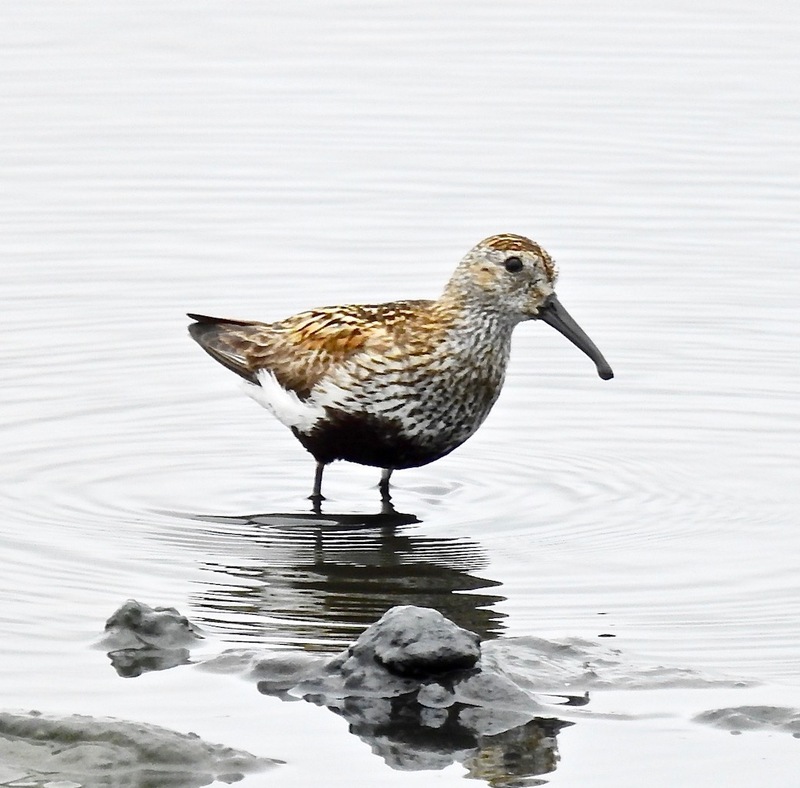 A single Dunlin, albeit a very hungry one, was feeding right under the windows until the seasonal infestation of Greylags and Canadas came crashing in, dragging a summering Pink Foot with them, but flushing the wader. 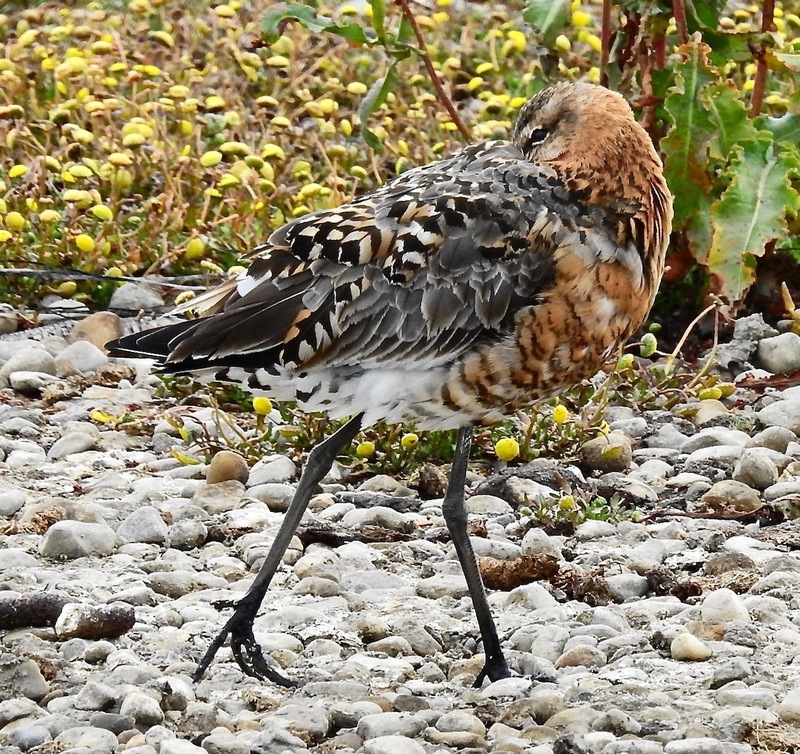 There were another six Dunlin in the channel up towards Polly’s. A few small parties of Mipits might just have been early passage – or local breeders dispersing, and a few Blackwits were about. 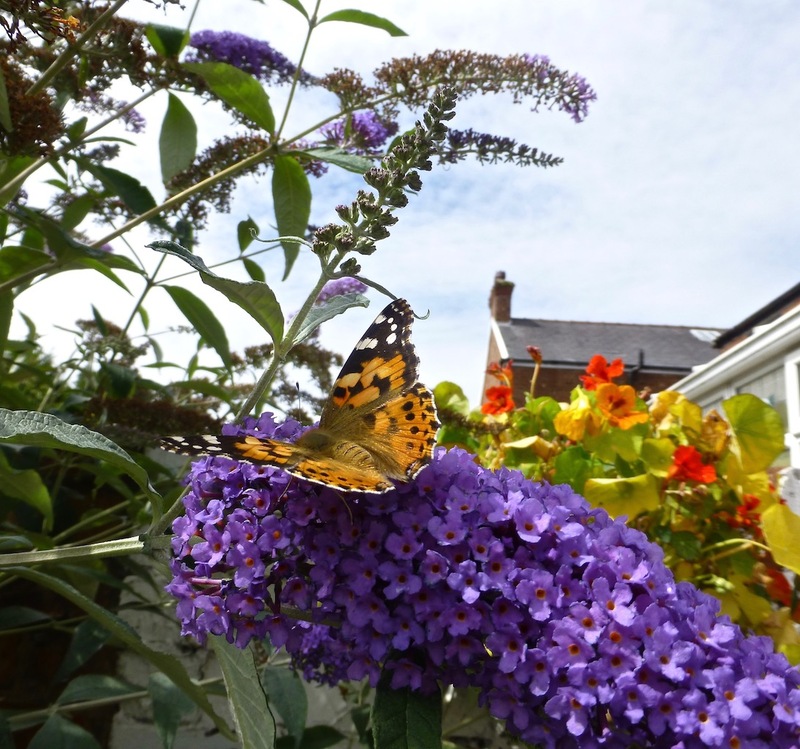 I almost made it to the end of the “lull” (waders back on the move now folks) without resorting to the wonderful world of mothing, butterflies and dragons. This wholly unconscious “anti-invert” agenda was made easier by nine day weeks and ten hour days at work recently, which meant birding, much less bugging, was hardly happening. 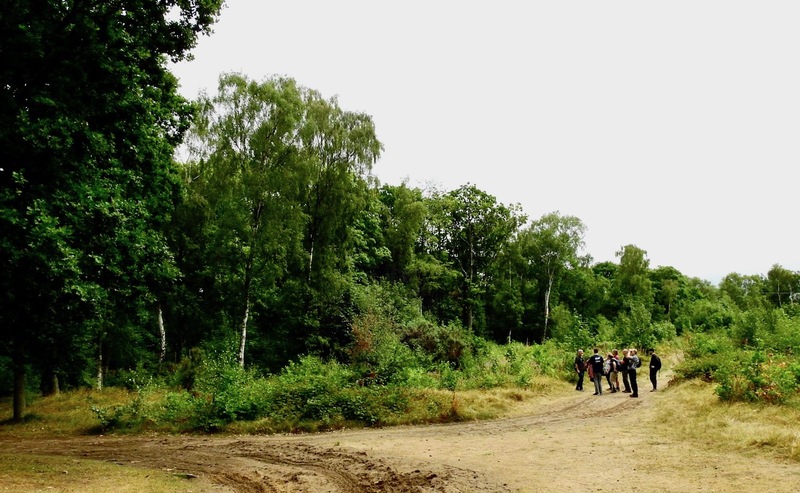 Out this morning though, to join the “Gems In The Dunes” group for a walk at Ainsdale NNR with site manager Pete Gahan. Cool and drizzly first, but plenty of Stock Dives still calling, Common Buzzards, Greater ‘Peckers, Siskin and Mistle Thrushes galore, but disappointing on the bug front. 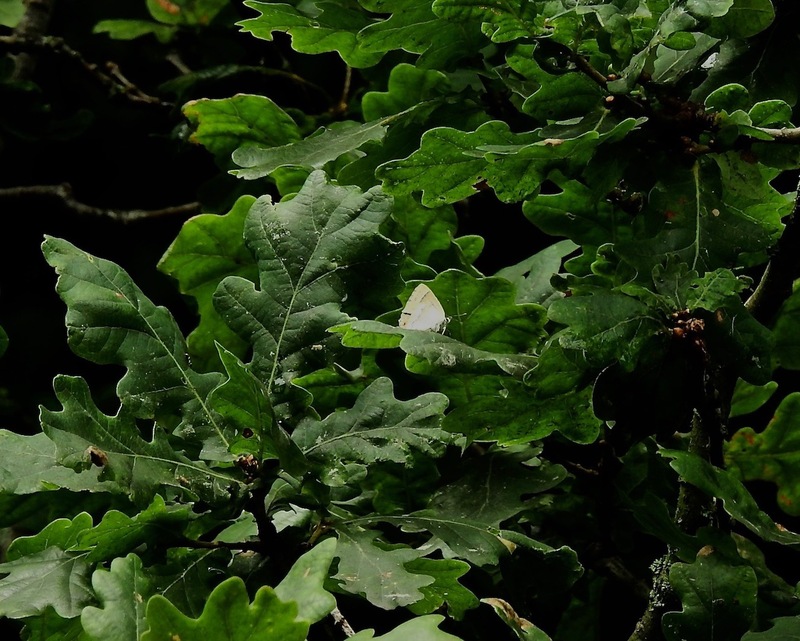 Things were better on the way out when I left the group at the firebreak at lunchtime to catch up with the Purple Hairstreaks recently discovered lurking in the oak canopy there. 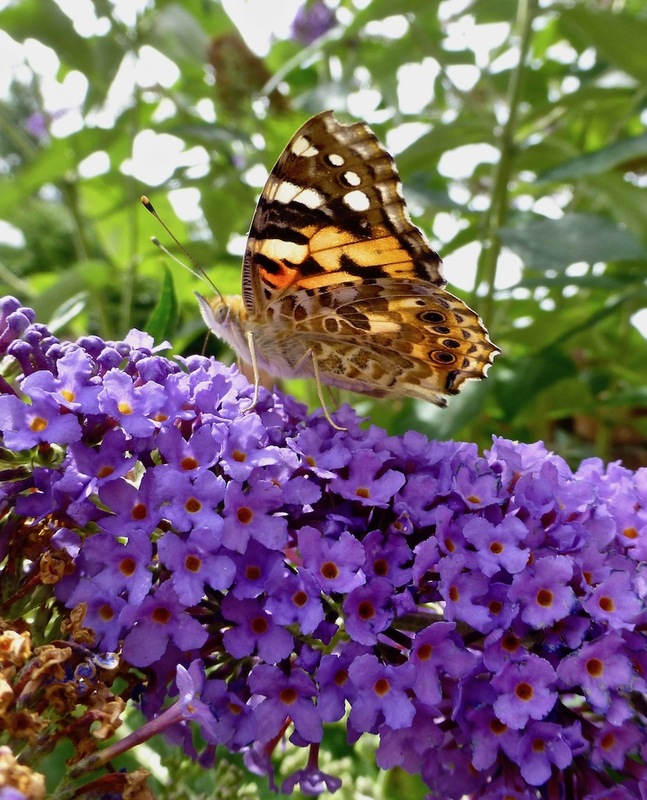 It was warming up by 1pm, and as I watched the butterflies with Pete Kinsella as they flitted about in the top of the canopy, one or two gradually began to drop lower. 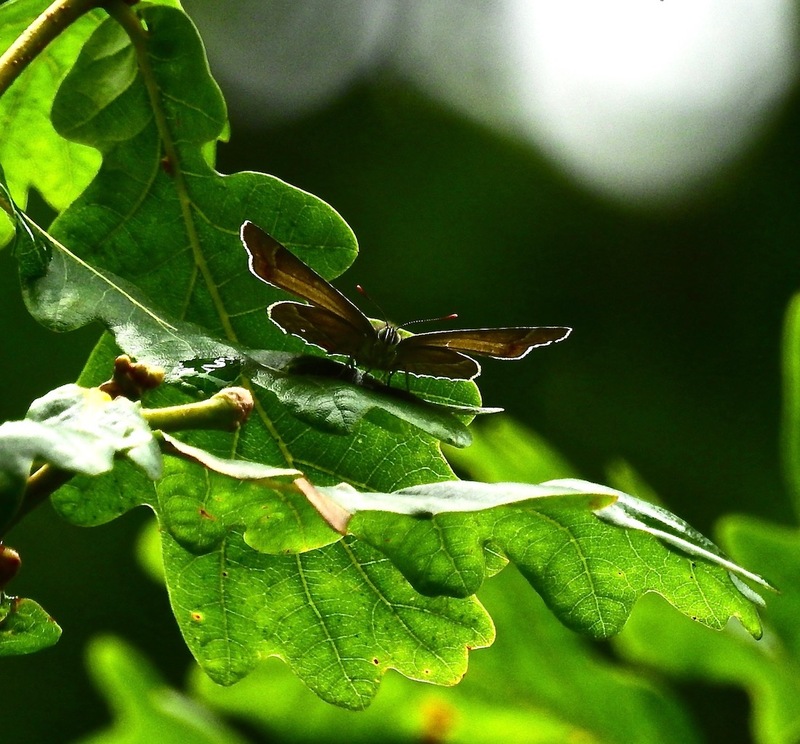 With a bit of patience we got good views of one of these tiny butterflies through the oak leaves. Backlit and fringed with light, the Hairstreaks were still little crackers. 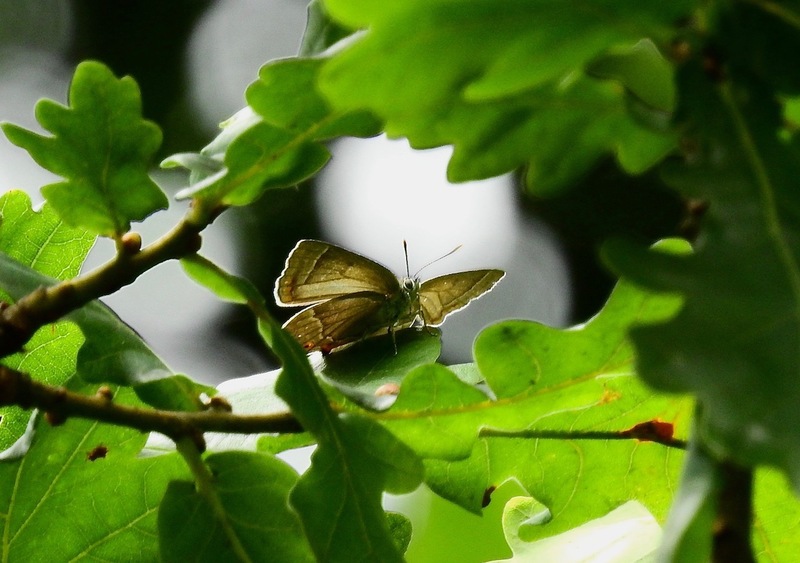 This is the first time I’ve seen Purple Hairstreak in Sefton, and with beasts discovered in Blundellsands and Ince Blundell as well as the NNR firebreak (surely the best butterfly spot in the borough? 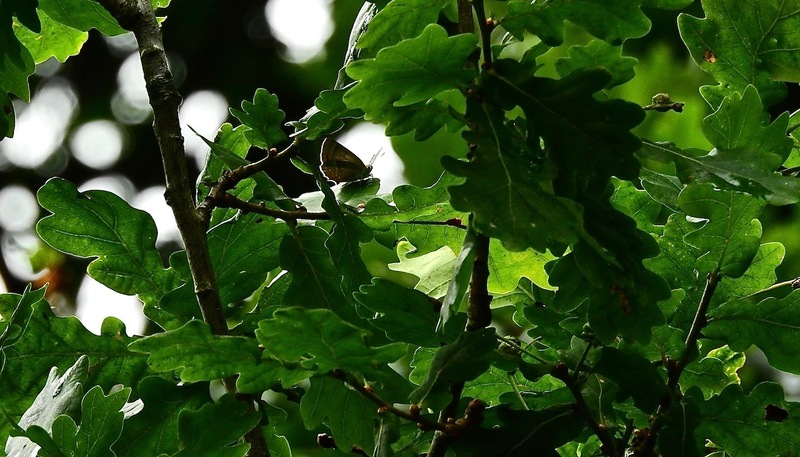 ), my guess would be that with a bit of diligent searching, they may pop up anywhere where there are stands of their favoured oak trees – time to check the parks everyone? Lots of other goodies in the NNR bugwise too of course – Migrant Hawker above us this morning, and I’m sure a few Ringlets etc would have emerged when it brightened up later in the day – but by then I was long gone. 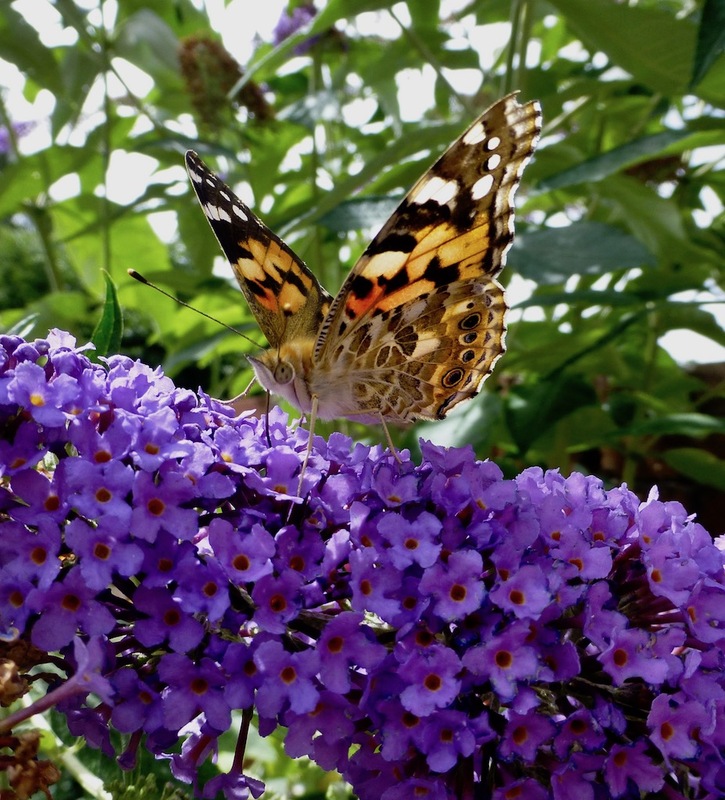 Ten things to do in Sheffield before you fry. 1. Try not to look (or sniff) too closely at the contents of the festering detritus at the Viridor Salmon Pastures tip in the soaring temperatures. 2. 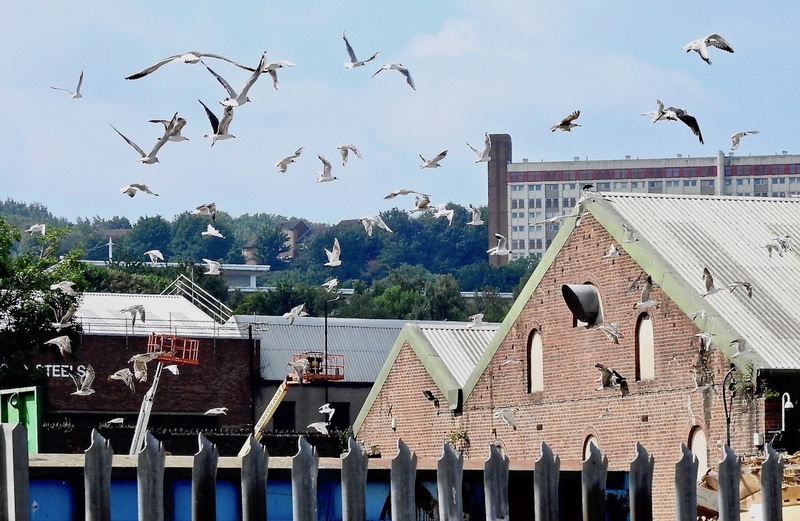 Check and recheck the scabby, moulty gulls dropping in to scavenge at the site. 3. Ponder on how younger, more dedicated birders would not have stayed in the Legless Arms last night after news of the Audouin’s Gull in Sheffield’s city centre broke. No, they would have driven overnight and seen the gull just after first light before it flew off into oblivion. 4. Put the dip out of your mind and enjoy Kingfishers and Grey Wagtails zipping about under Norfolk Bridge over the River Don. 5. 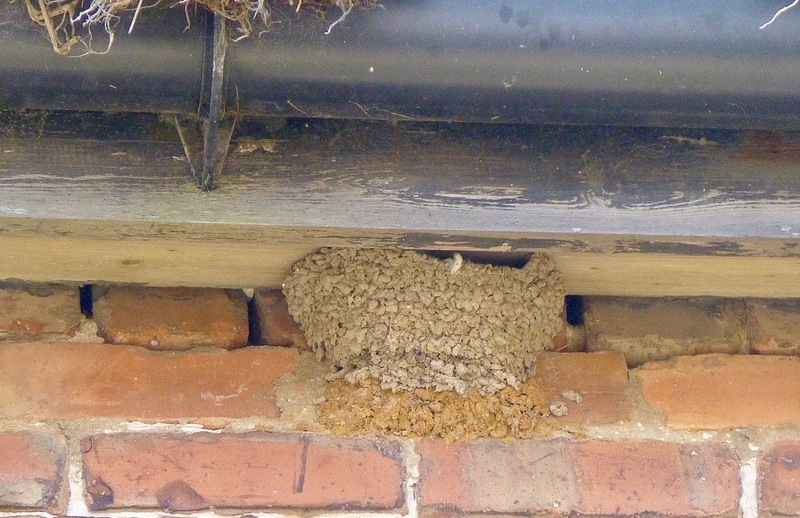 Wonder when it will be safe to leave – and worry that the Audouin’s may fly in again at any moment. 6. Decide which is your favourite piece of cutlery – this is Sheffield after all. 7. Wish you had remembered your sombrero to keep the sun off. 8. Consider complex mathematic formulas to explain the important things in life. 9. Ensure your shambolic, dipping friends haven’t melted in the heat/wandered off to get hopelessly lost in an unfamiliar city/fallen into the aforementioned river. 10. Thank Tony Owen for the driving. You can’t win ’em all…. 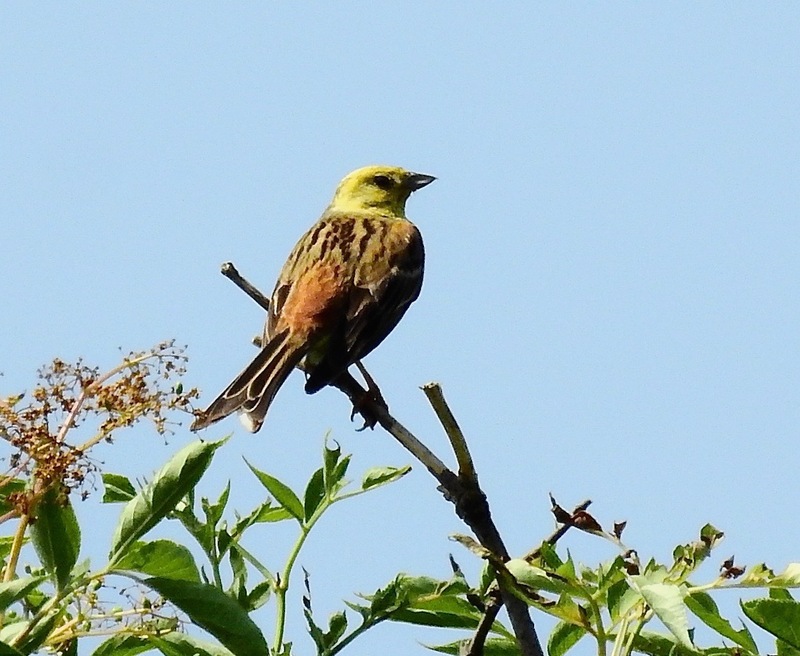 It’s hard to keep birding through the lull, but the Yellowhammers were still in good voice at Haskayne Cutting this afternoon, with occasional backing vocals from Whitethroats and Blackcaps. Not so many Corn Buntings singing on Plex now – perhaps no more than five individuals on a short walk with a recuperating Mrs D, but it is high summer I suppose. I tried to resist the temptation to look at bugs and blooms, even though the “arable weeds” that only really flourish now in the ditches, having been expunged from most fields (set-aside notwithstanding), were pulling in a steady stream of butterflies, but worryingly low numbers of buzzy bees. 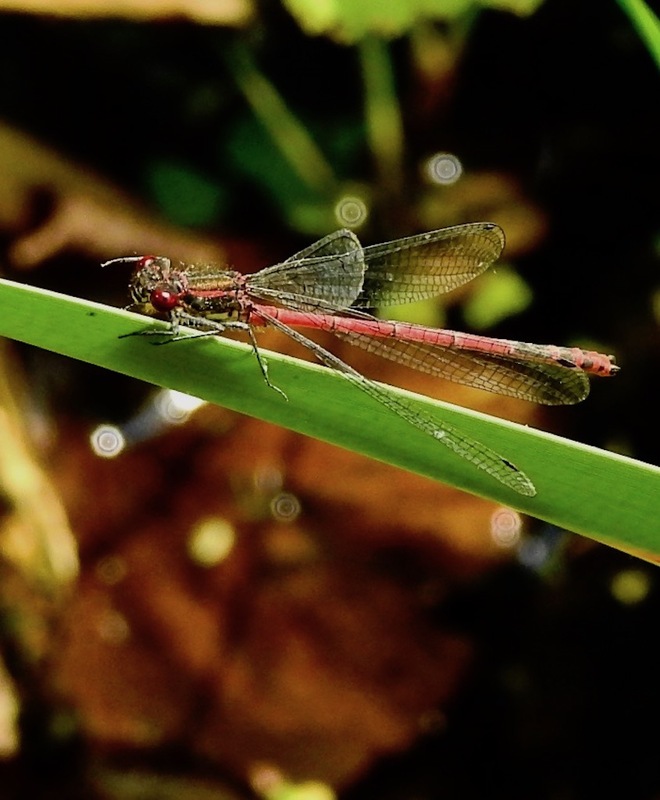 Large Red Damselfly still on the wing at the cutting – always a scarce ‘un in my neck of the woods these days. Otherwise all a bit quiet, at this rate I’m gonna have to start staking out chip shops and pie stands for Pied Crow… or begin praying for decent seawatching conditions. 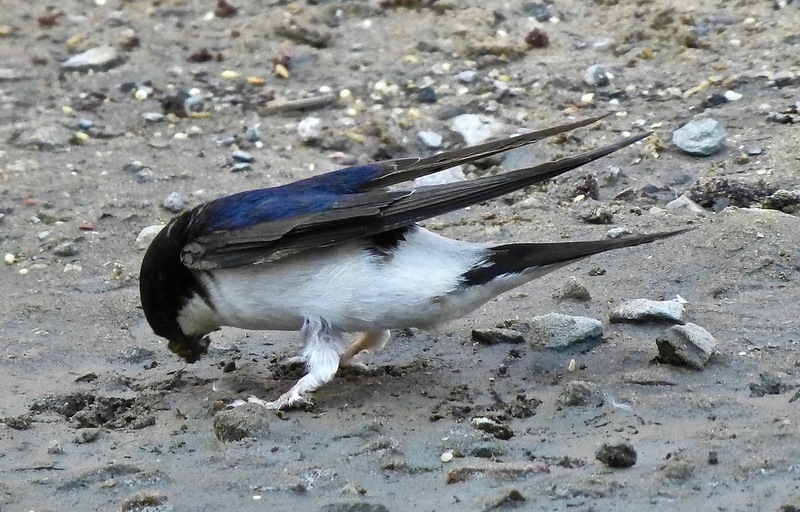 For the last four weeks or so, Chris Tynan, of RSPB Liverpool group fame, has been telling me about the House Martins dropping down to collect mud for their nests behind the Green Sefton depot at Ainsdale. Chris helps things along, like the rest of the team at the depot, by keeping the mud damp beneath the birds’ nests on the eastern face of the remains of the old Toad Hall. 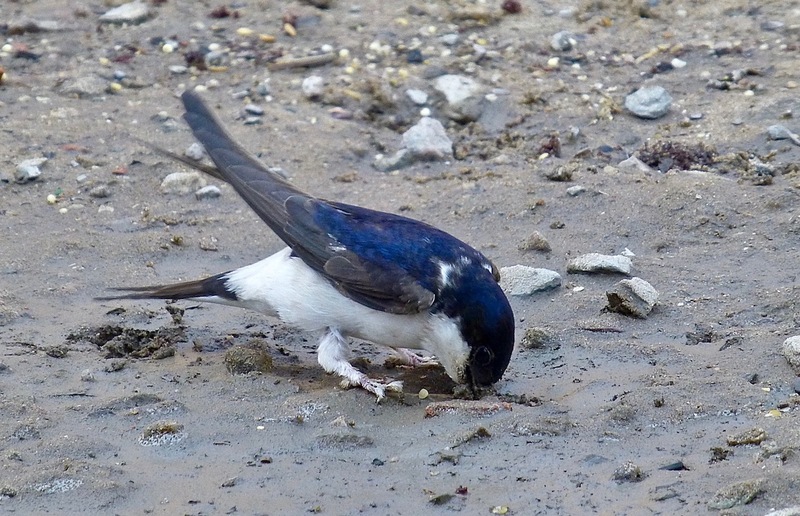 I kept meaning to have a look, but was just too busy (less haste more speed Dempsey) until today, when I called in to see the martins collecting beakfuls of mud just a foot or two away from the back door of the depot. 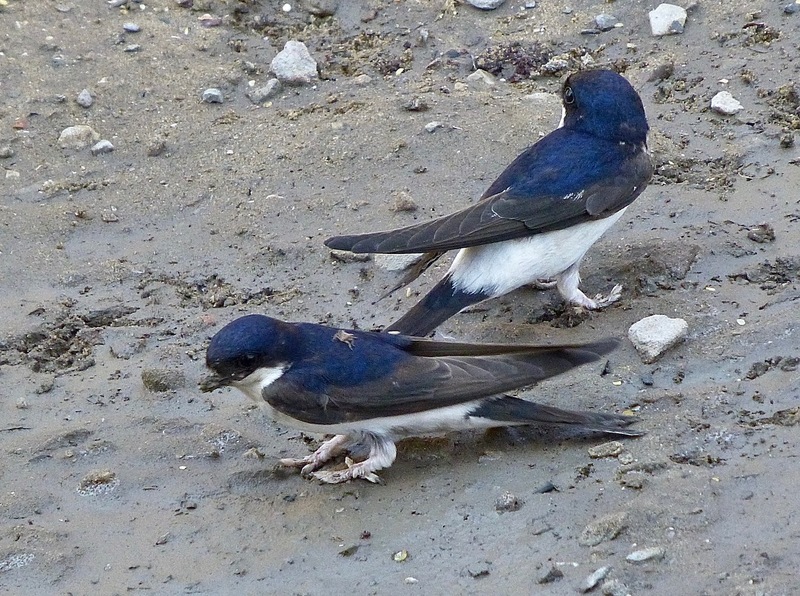 Splendid furry troosers, long wings, even monstrous louses (see picture below with two birds on, and take a close squint at the back of the bird in the foreground), House Martins are just magical things. Still more magical when you pause to consider that even now, in this satellite-tagged world of contracting horizons and a shrinking globe, we don’t know where House Martins winter yet. 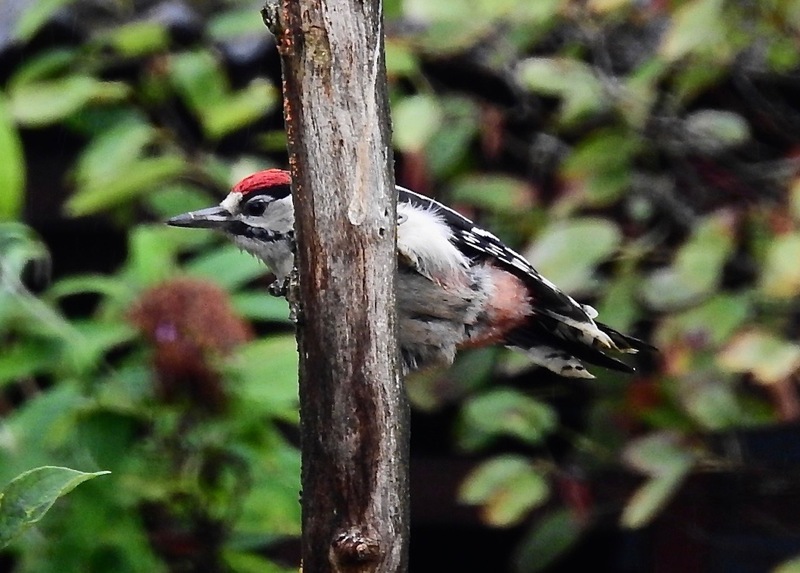 It’s not often I get this close to them, and it felt a privilege to see these fabulous aerial critters condescending to land on the deck just a few feet away. 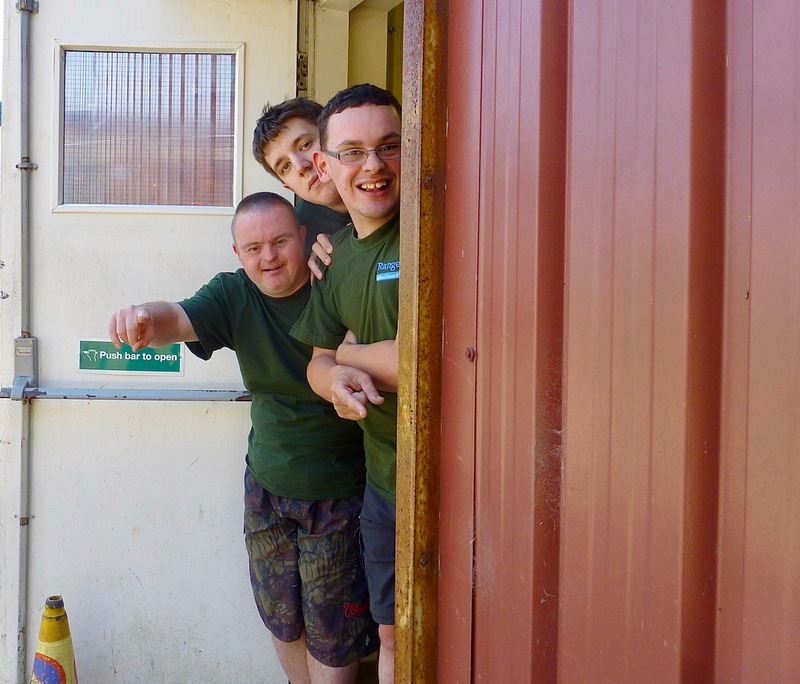 And even more of a privilege when you see the way Chris (and the rest of the team) work with the Natural Alternatives crew to ensure they get to witness nature up close and personal on a daily basis.